The Middle East is a hot spot of proliferation. It contains one state assumed to possess nuclear weapons, several states that tried and failed to develop a military nuclear capability, one state under suspicion of trying to do so, and it is the world region that witnessed the most frequent and severe employment of chemical weapons since the end of World War I. Notwithstanding, not a single arms control regime concerning weapons of mass destruction (WMD) covers the region as a whole. Instead we have seen several proliferation-related military operations which have rather contributed to destabilization than served non-proliferation. This volume, written under the auspices of the EU Consortium for Non-Proliferation and Disarmament determines the current state of diplomatic efforts to establish a WMD free zone in the Middle East. In doing so, it provides insights into central actors’ conflicting political positions, thereby explaining the stalemate of efforts to negotiate a WMD-free zone. 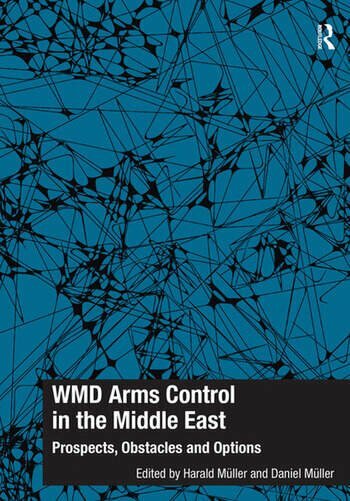 Chapters written by renowned experts from academia and policy-oriented think tanks, as well as by next-generation Middle East and arms control experts, introduce the subject to the reader, give background information about arms control initiatives, provide technical expertise, and endeavour to make proposals for arms control measures in support of the creation of a Middle East WMD-free zone. Harald MÃ¼ller is Executive Director of the Peace Research Institute Frankfurt (PRIF), which is a member of the Leibniz Association, and Professor of International Relations at Goethe University, Frankfurt. He has been a member of the German delegation to the NPT Review Conferences, served as a member of the UN Secretary General’s Advisory Board on Disarmament Matters and was a member of the IAEA Expert Group on Multilateral Fuel Cycle Arrangements. Since 2010, he is Vice-President of the EU Non-Proliferation Consortium. Daniel MÃ¼ller is a Research Associate at the Peace Research Institute Frankfurt (PRIF) and a PhD student at Frankfurt University. He is focusing on WMD arms control in the Middle East and on the foreign and security policies of Egypt, Syria and Jordan.